Communities across the UK are set to benefit from a £23m investment to ‘rejuvenate’ cycling and walking. Announced by the DfT on 21 March, £21m of the £23m will be spent to improve on and off-road stretches of the 16,000-mile National Cycle Network. This investment, which will be managed by the cycling and walking charity Sustrans, will fund dozens of projects identified in the Paths for Everyone report. Published in November 2018, Paths for Everyone suggests the National Cycle Network risks ‘falling short of its potential’, and provides a long-term plan to improve safety and accessibility across the network. 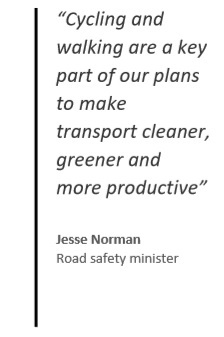 Announcing the new funding, Jesse Norman, road safety minister, said: “Cycling and walking are a key part of our plans to make transport cleaner, greener and more productive. Xavier Brice, chief executive of Sustrans, said: “As the custodians of the National Cycle Network we are very excited by this investment in transforming crucial links for communities across England, making it easier for everyone to walk and cycle. 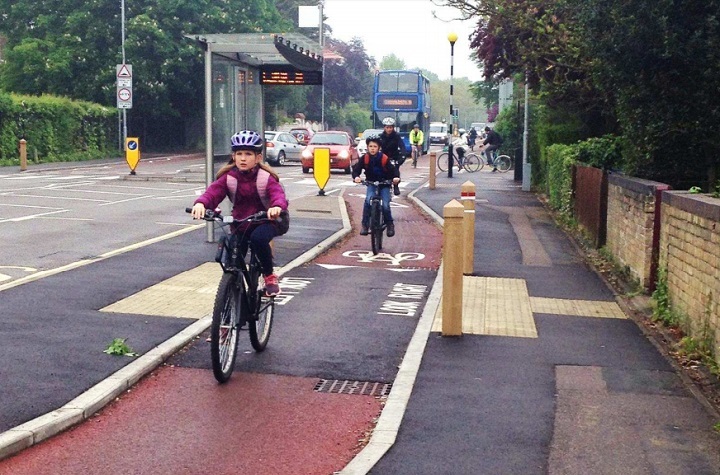 A further £2m will be used for schemes intended to encourage more people to cycle and walk, particularly children and young people, in the hope that greener travel choices will become ‘the norm’. Among the initiatives to benefit are the Living Streets Walk to School outreach programme (WOW), which encourages young people to make walking a key part of their journeys from an early age. WOW is said to have played a part in helping walking to school rates increase by 30% last year – a ‘big step’ towards the Government target of getting 55% of primary school children walking to school by 2025. Joe Irvin, chief executive of Living Streets, said: “Nationally the number of children walking to school has fallen significantly over recent years. “However, in schools where successful initiatives like WOW are in place, we are seeing more families choose active and sustainable ways to travel. Cycling UK’s Big Bike Revival will also receive investment to continue encouraging the 42% of people who own bikes but do not cycle, to start riding. Paul Tuohy, chief executive of Cycling UK, said: “We are delighted the Big Bike Revival will be going ahead again in 2019, helping tens of thousands more people to discover the joys of cycling. “Last year we put on more than 1,000 events across England, kick starting a lifetime of cycling for more than 40,000 people we reached. I confirm that I have read and accept the moderation policy and house rules relating to comments posted on this website.